Dr. Schaefer has a special interest in dry eye disease and performs specialized diagnostic tests to evaluate the quality and quantity of your tears to help properly manage the type of dry eye disease you have. At Modern Eyes Optometry, we understand there are more effective treatments than just eye drops. The eye requires a certain level of lubrication to function properly and comfortably. For this reason, the body creates tears: a liquid made primarily of water and natural oils. When the body does not create a sufficient volume of tears and/or produces poor quality tears, eyes become dry. 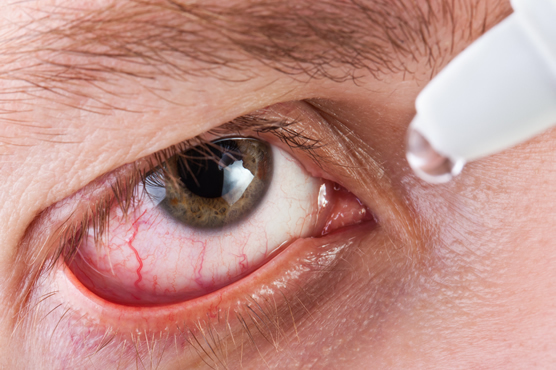 Dry eye disease is one of the most common conditions seen by optometrists and is often confused with eye allergies because of the symptoms it presents. The length of a dry eye consultation varies depending on each patient and their needs. However, individuals should expect approximately 60 minutes. Once a diagnosis has been made, our optometrists will thoroughly explain the treatment options that are right for you while ensuring your questions are answered and your concerns are addressed. Artificial tears come in the form of eye drops and are designed to lubricate your eyes. Similar to artificial tears, medicated eye drops relieve dry eye symptoms. However, in addition to offering symptomatic relief, these eye drops stimulate the body’s natural tear production and addresses the underlying inflammation. Dry eye disease often occurs as a result of meibomian gland dysfunction. Both at-home and in-office meibomian gland expression therapies targeting production of these glands in your eyelids may produce a more stable tear film. Low-dose anti-inflammatories may be an effective way to increase tear quality while decreasing ocular irritation. Environmental factors such as diet and air quality can contribute to the development and severity of dry eye disease. Eliminating a smoking habit, consuming specific omega-3 fatty acids, and/or modifying your work and home environments may reduce dryness.